The must-have guide for global savers. Money Hacks delivers surprisingly simple steps to save money. Walk into stores with confidence knowing you can outsmart retailers to save money. Award-winning financial author Ahmed Dawn reveals practical steps you can take to save money through various walks in life. 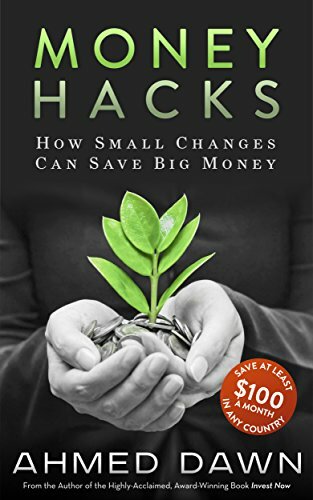 Jam-packed with timely information and timeless a dvice for the global readers, Money Hacks provides a realistic, doable plan to put you on the road to financial security by saving money. Where to look in grocery store aisles to save money. How to save at least $100 a month anywhere on earth. How to cut your Internet cable and still have Internet at home. How to cut your cable wire and still watch HD channels on TV. How it is possible to receive/make calls/texts on smartphones without paying anything.